Another hurdle was removed today for “Wi-Fi on steroids,” as the IEEE published a wireless standard that could bring high-speed broadband to rural areas. The 802.22TM-2011 standard will be used on frequencies that were used by analog television channels, but were freed up when the U.S. transitioned to digital television broadcasting over the air. Known as “white spaces” technology, the wireless standard supports transmissions speeds topping out at 22 Mbps per channel, with a range of up to 100 kilometers. With the new standard now approved, hardware manufacturers have a blueprint to begin designing and building products that can use the upcoming wireless networks. Unlike the frequencies used by cellular network operators, the white spaces use unlicensed spectrum (just like today’s Wi-Fi networks), so a wide range of compatible devices are expected from many companies. This would make it far easier and cheaper for those in remote areas to gain faster Internet access, for example. Schools and enterprises could use the technology to deploy campus-wide wireless networks more easily due to the extended range white-space networks could bring. Google (s goog) and other companies interested in smart grids can benefit from intelligent, connected meters that shoot data directly to power distributors. And carriers could even supplement their current Wi-Fi offloads, which are very limited in range, with white-space networks. For more details on the potential uses of white-spaces, see our recent “everything you need to know” article. On a more personal level, individual devices could gain a much greater range and connect directly to homes. I currently use a mobile broadband connection to manage the lights and temperature of my home, for example. But I’ve held off on adding some webcams for security and monitoring for package deliveries, simply because transmitting such video over a 3G or 4G connection will have me hit my data caps too quickly. With white-space devices and support, however, I could be miles from home and still keep an eye on things without worrying about monthly data caps. We’ll be talking more about such connected devices and the networks they use at our two-day Mobilize event in September; with the new wireless standard now ratified, white-space networks are sure to factor into our conversations. thanks for sharing your idea………..
Users of wireless audio devices can take a back seat to the needs of rural areas who cannot get internet or are being charged exorbitant fees for lousy access. This is all very nice, but IT users may not be aware of the ramifications for other wireless technologies that use the same “white space” frequencies; specifically wireless microphones, intercoms, in-ear monitors and other devices used in professional and amateur sound and video production, theater, churches, conference rooms, etc. The pro audio industry has been wrangling with this issue since the DTV transition and it’s very scary for anyone using this equipment–which includes your local businesses and big players like Broadway theaters and the Super Bowl. There are various schemes in play that are supposed to protect wireless equipment from interference that could be caused by wi-fi devices, it’s unclear what may finally be implemented and if it will be effective. The bottom line is that the large network providers and related companies are not terribly concerned and will only do what the FCC requires. Would be funny if their stockholder meetings are disrupted when the wireless mics start acting up! Since this is unlicensed spectrum anyone who can afford the router and perhaps an outside antenna can operate their own network minus any additional subscriber fees other than their home internet connection. Range? 60 mile ranges would probably need massive high wattage transmitters like old school television transmitters, but could carry tv,radio,voice and data over ip. Will IPv6 cover enough ip addresses as the entire world comes on board? Experienced commercial operators (tv network affiliates) could find a new income stream. Private mesh networks could spring up much like catv did as a precursor to cable. Being unlicensed is the greatest aspect for the consumer. Netflix,hulu,walmart(vudu),local tv networks and cnn etc. should prepare and expect growth in both free ad supported content and paywall. How is this going to affect cellular and ISP service providers current de facto monopolies? It seems that this type of tech would be something they would like killed. Wouldn’t it also make it far easier and cheaper for just about any city to set up it’s own city-wide blanket wifi? White spaces shouldn’t or won’t affect wireless carriers. There isn’t enough spectrum available in major markets for white spaces devices due to extreme congestion. Auctioning off spectrum will just remove any small slivers of spectrum that may have been available in the top 30 markets. Shouldn’t carriers be worried about this? 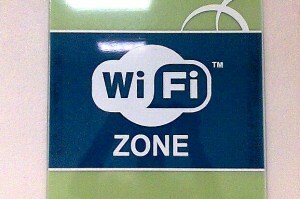 Wi-fi, and especially super Wi-Fi like this is pretty disruptive to the 4G technology and business model. Perhaps, but by the same token, it could provide carrier services to rural areas for far less than money than building wireless towers and backhaul to them. Definitely a good point and worth watching as it develops, Lucian. Thanks! A few years ago I read an article explaining how the electrical outlets in Great Britain’s schools were being used to provide internet access. Has anything more been developed along this line? If it really works, it seems like an easy way to have internet everywhere. You and Matt were talking about white spaces on your latest podcast and how Congress was going to license it or sell it to carriers. Are these two issues related or separate? White spaces will be unlicensed, so anyone can use them, and of course, for interoperability, devices will need to follow the standard. Think Wi-Fi and Bluetooth: you don’t need a license nor do you generally need to pay a carrier to use it because it’s open to all (although obviously businesses can charge for hotspot use). The legal aspects came about because white spaces will use old TV frequencies, so some (the National Association of Broadcasters, for example) raised issues. And there have been interference concerns as well. But the FCC approved white space rules late last year, so this technology is still on track. See: http://gigaom.com/2010/09/23/get-ready-to-innovate-fcc-approves-white-spaces-rules/ There won’t be any government auctions or sales of these frequencies like there was for the 700 MHz spectrum that Verizon, AT&T and others bought for LTE or other mobile broadband services. Hope that helps a little! Gotcha, that is very helpful. So is there still spectrum that is being made available from the old tv broadcast frequencies that have not been allocated yet? I got the impression from listening to your podcast that Congress was looking at the possibility of selling more spectrum to the carriers, which would be a loss for the public and white spaces, right?